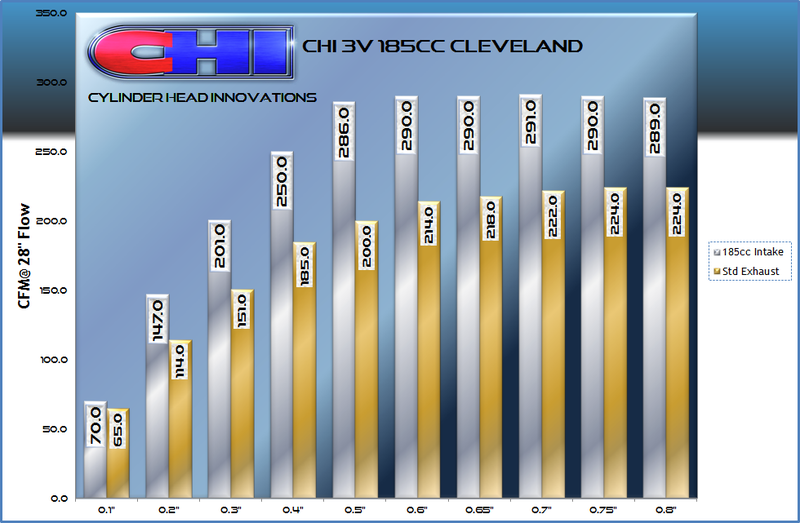 The Innovative 3V 185 is in a class of its own amongst Cleveland Cylinder Heads. 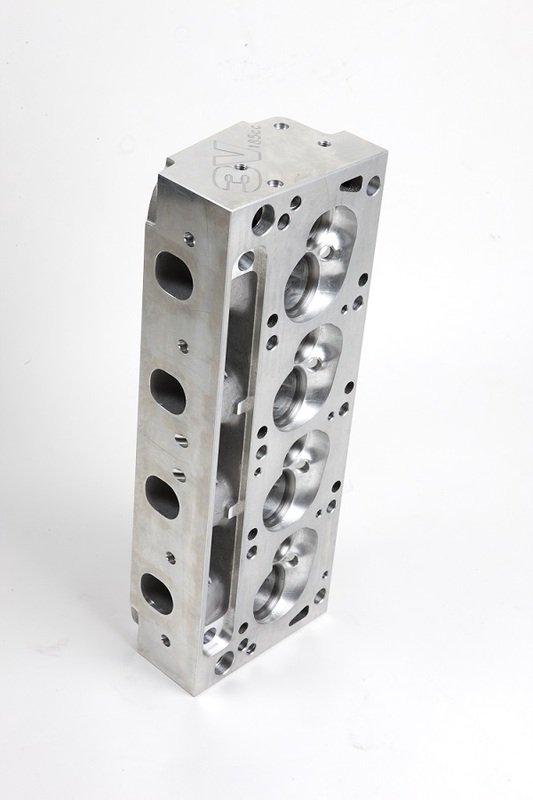 Our 3V185cc Cleveland cylinder heads have an intake port that is only marginally bigger than a factory 2V Cleveland Exhaust port!. 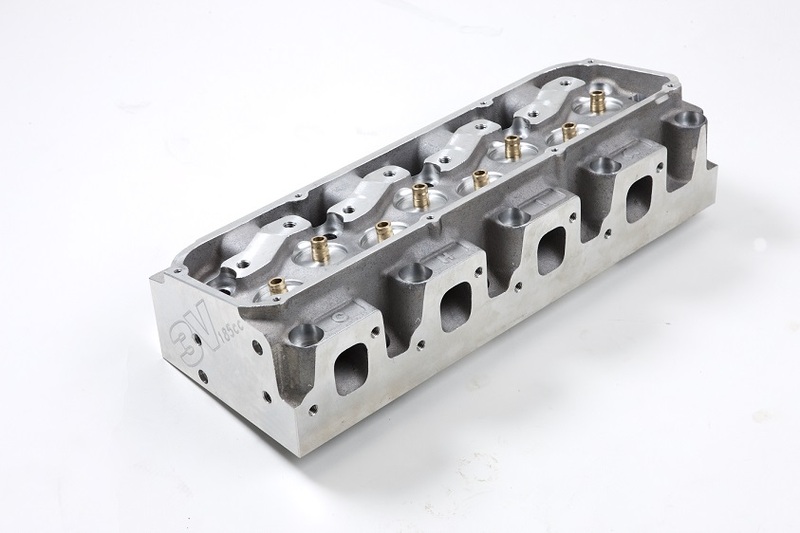 This makes it the smallest Cleveland cylinder head on the market today. 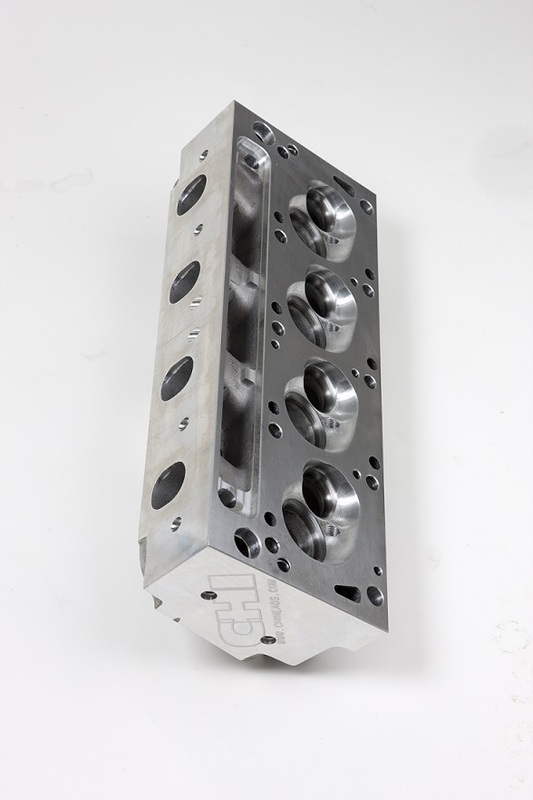 This unique Cleveland cylinder head is best suited to customers with standard stroke engines wanting up to 500hp with solid flat tappet cams, and or customers with stroker engines looking to make low to mid 500’s with flat tappet cams and or mid 500+ with hydraulic and solid rollers. 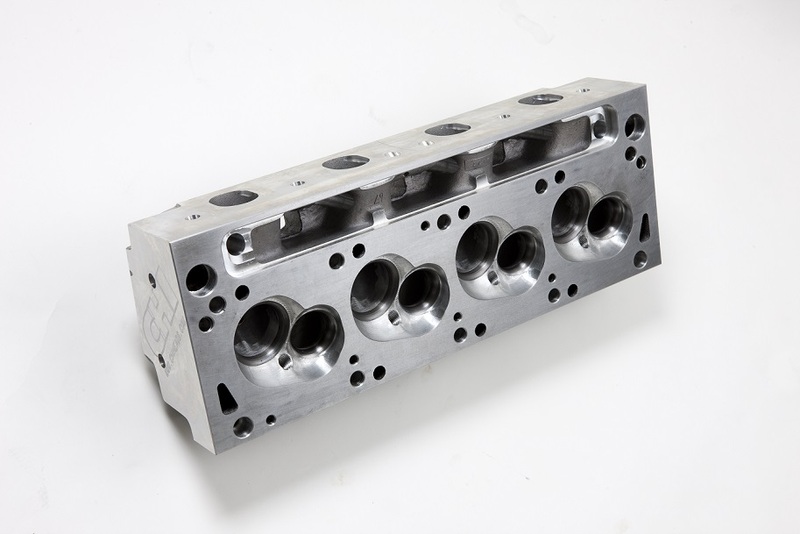 Cylinder Block Type Choose an optionClevelandWindsor 8.2"
The 185cc intake ports are designed to deliver maximum power and torque for the serious street car enthusiast, whilst keeping their RPM levels down to a respectable level. By utilizing the advantage of a taller than standard 4V intake port height, and downsizing the port to a mere 185ccs, we have an intake port capable of making in excess of 550hp, with exceptional torque and power along the way, as proven in Dave Storlien’s 2002 Engine Masters Clevor, which produced the outstanding figures of 605hp and a whopping 530 ft/lb of torque, and all this from a 366ci power plant utilizing a flat tappet cam, running on pump fuel, with a 6500 rpm limit. 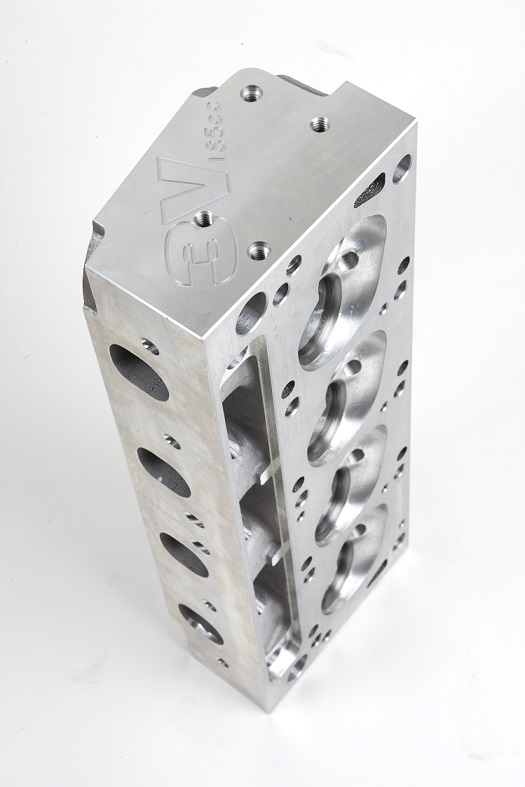 The 3V 185cc Cleveland cylinder heads uniquely shaped intake ports, have the smallest runner volume of any 300cfm Cleveland cylinder head available today, giving street car enthusiasts unmatched torque and horsepower levels right where they need it most. Coupled with our matching high velocity 185cc 4150 Holley intake manifolds, these heads are the ultimate choice for the serious street car enthusiast wanting the best spread of torque and horsepower from engines making up to and around 500hp from their Small Block Fords. 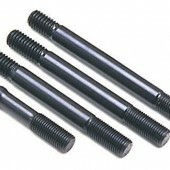 Why use the 3V 185 head? 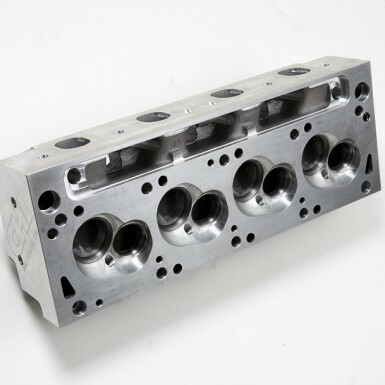 Even though 2V factory heads have a minimum cross section of approximately 2.0” at the pushrod area of the port (which is close to the 185ccs 1.9” minimum cross section area), the 2V heads have a much larger opening at the intake manifold face of the cylinder head (2.4”” minimum cross section). 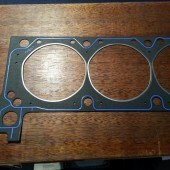 What this means is that when manifold are made to match a 2V head they start out at 2.4” to match the intake face of the cylinder head, and taper up from there, creating a runner that is way too big for the majority of street engines. With the 3V 185cc head this is not the case, as we made the manifold suit our port size, and thus kept the velocity up high where it is most effective, by keeping the runner small. Because of this the 3V 185cc head and manifold combination has far superior torque and throttle response than any other available Cleveland cylinder head and manifold package at around the 500hp mark. 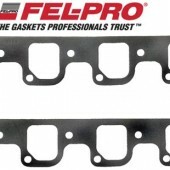 Our manifolds also come ready with Fuel Injection – Nitrous bosses cast into the end of the runners, near the manifold face. 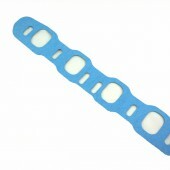 With only minor machining they can be easily adapted to either, giving our customers the ease and flexibility to be able to upgrade as they wish.